On June 14, Cliffannie Forrester had one of her paintings hung up at the Metropolitan Museum of Art. Eight days later, she is graduating from high school. 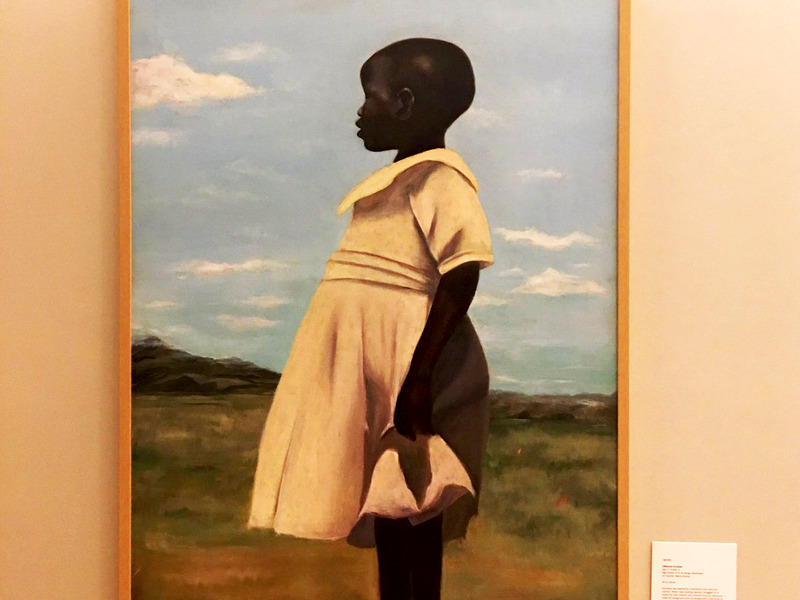 Forrester’s painting “Uganda” was selected as a part of P.S. Art 2016, an annual exhibition of artwork made by students in New York City’s public school system. The 18-year-old’s painting was one of 90 picks from more than 1,200 submissions. When it was hung up at a gallery in the Met, Forrester posted a picture on Twitter. It quickly went viral. “We were going to church and I saw a little girl who was just standing around, admiring everything,” she told Elle. Forrester took a picture and used it as the basis for her painting. The exhibit is on display at the Met through October 23.